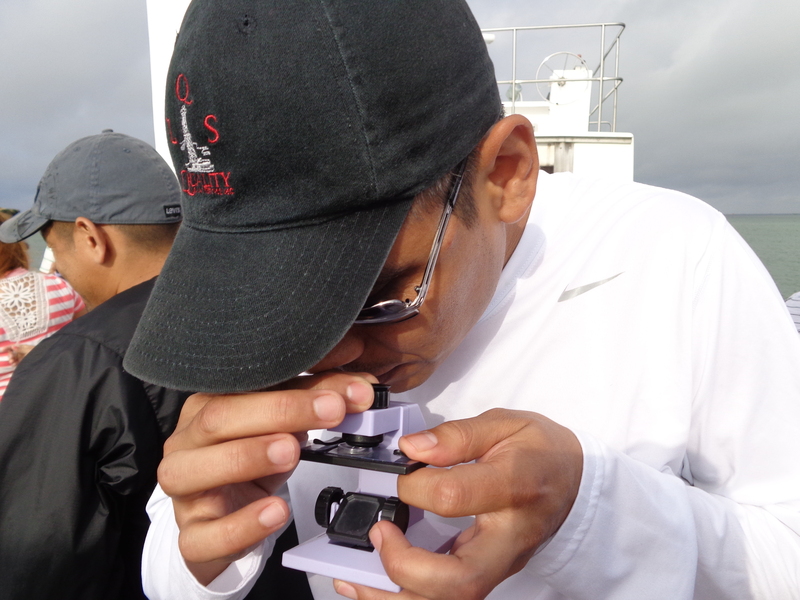 BEAUTIFUL VACATIONS IN CORPUS CRISTI – CIENSCE AND MARINE BIOLOGY INSTITUTE OF TEXAS UNIVERSITY. Thank to the CIENSCE AND SEA BIOLOGY INSTITUTE OF TEXAS UNIVERSITY and SEED, specially the local administration who did the management to get this amazing trip in Corpus Cristi Bay. During this experience, we saw many species of marine biology like fishes, mollusc, gelly fishes, bacterias, and a kind of plants. Mrs. Dana, an specialist of the Texas University, showed us an important way to teach different topics related with the sea. She made an experiment with plankton, mud and marine animals. We learned the important reason to keep the plankton because it is the root of the feeding chain. ← IN A REAL LAB OF BIOLOGY… THIS IS A LITTLE PART OF PALO ALTO COLLEGE.